Fifty years ago in March 1969, a rather odd book of verse hit Britain’s bookshelves. Its jacket contained no description of what lay inside — only the image, on both its front and back, of an ashen-faced man, sceptre in hand and visage obscured by corkscrew curls, sitting proudly beneath an egg-like orb. Its title, in the florid lettering of the day, read The Warlock of Love, and its author, the ever-elusive Marc Bolan, dedicated it to ‘the Woods of Knowledge’. Though he was the progenitor of the glam rock movement, and, in his heyday in the early seventies, a rock and roll star who was regarded as the successor to the Beatles and whom David Bowie dreamed of being as big as, Bolan today is a much-overlooked figure. Worse, perhaps, is the fact that, even in his native Britain (he never ‘cracked’ America, much to his dismay), he remains misunderstood amongst many as a fame-hungry teen idol who fizzled out after a few years of gobbledegooky glory. ‘He loved the glamour and drama of stardom’, admits renowned British publicist Alan Edwards, who once worked for Bolan, ’but in some ways, that overshadowed his writing.’ Indeed, there are few who aware that Bolan wrote poetry, let alone The Warlock of Love, and even two fantasy stories (Pictures of Purple People and The Krakenmist). Although Bolan was a rock and roll star, he was a poet first and foremost. When asked at a 1965 press conference whether he regarded himself as more of a singer or a poet, Nobel Prize-winner Bob Dylan responded, ‘Oh, I think of myself more as a song and dance man, y’know’. Not so Bolan. As Mark Paytress notes in his book, Marc Bolan: The Rise and Fall of a 20th Century Superstar, a thirteen-year-old rock and roll-loving Bolan brusquely declared he was a poet when asked at a local Labour Exchange about his chosen profession. 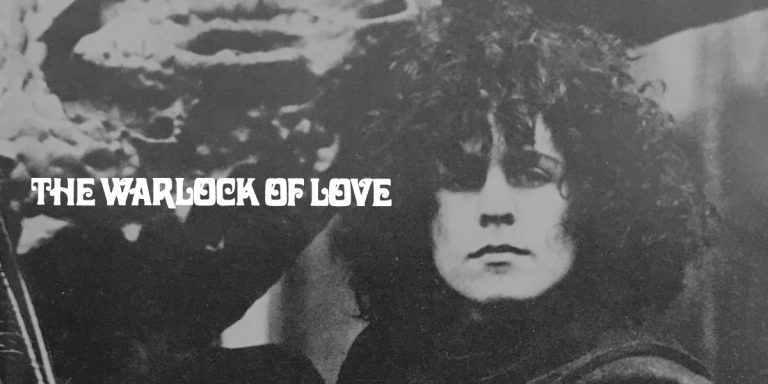 In many ways, The Warlock of Love can be seen as an extension of Bolan’s work with Tyrannosaurus Rex, the folk duo he played in at the time. 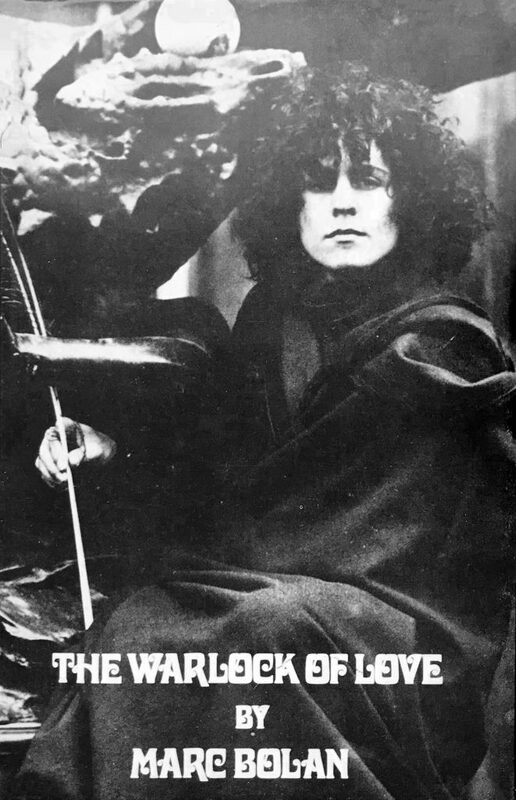 The book echoes the spirit and ethos of Bolan’s early music, and deals, more or less, with the same subjects and themes. Just as Bolan sang about wizards, bejewelled Abyssinians, and Eastern spells on tape, so too did he write poems about mages, ‘Celtic woadmen’, and the all-round exotic and otherworldly in his book. Characters like Aznageel the mage and a mysterious wizard, featured in two Tyrannosaurus Rex tunes, also reappear here. Interestingly, years earlier, Bolan had told a story about a meeting of his in Paris with a levitating wizard who imparted arcana to him. If not the same warlock Bolan wrote about in the book’s first poem — ‘pure of skin but soiled of soul’ — the Parisian, factual or fictional, was evidently a major creative stimulus and recurring figure in Bolan’s oeuvre. that the Earth has hatched anew.